Frozen shoulder affects only about two percent of the population but can greatly impact day to day life events such as brushing hair, opening doors or reaching up to retrieve something from a top shelf. It is most common in people between the ages of 40 and 60, and, according to the American Academy of Orthopaedic Surgeons, can also strike people with diabetes, thyroid problems, Parkinson's disease or cardiac disease. Dr. Jennifer Solomon, a specialist in physical medicine and rehabilitation at the Hospital for Special Surgery in New York, which is well-known for its treatment of frozen shoulder, says, "It is also extremely common in perimenopausal women." 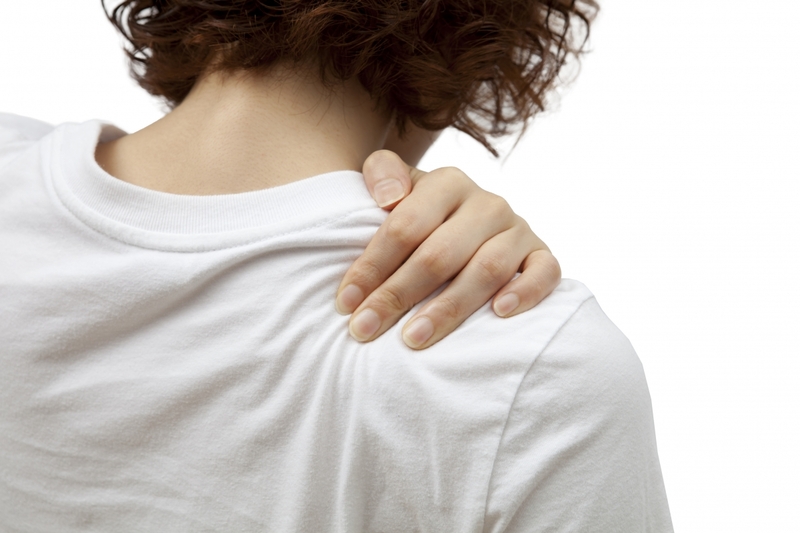 This suggests hormonal changes may cause joint stiffness associated with frozen shoulder. The disorder often develops slowly, and in three stages. Stage One: Pain increases with movement and is often worse at night. There is a progressive loss of motion with increasing pain. This stage lasts approximately 2 to 9 months. Stage Two: Pain begins to diminish, and moving the arm is more comfortable. However, the range of motion is now much more limited, as much as 50 percent less than in the other arm. This stage may last 4 to 12 months. Stage Three: The condition begins to resolve. Most patients experience a gradual restoration of motion over the next 12 to 42 months; surgery may be required to restore motion for some patients. No one has yet to pinpoint the exact cause of frozen shoulder. However, it likely involves an underlying inflammatory process and can develop after leaving the shoulder immobile for any period of time, such as after surgery or an injury. A medical history and physical exam, including X-rays can usually diagnose frozen shoulder. Treatment options include ibuprofen and cortisone injections. Steroids can significantly reduce inflammation and pain and increase range of motion. Physical therapy is also often recommended, and consists of stretching or range-of-motion exercises. Therapy can be conducted by a trained and licensed therapist or in the comfort of home without supervision. Surgery is seen as a last resort should conventional methods be unsuccessful. The recently held 75th Annual Meeting Podium Presentations by the American Academy of Orthopaedic Surgeons concluded that frozen shoulder is often misdiagnosed when the real culprit to pain and loss of motion is a tumor localized inside the bone or in the scapular region. These surgeons cautioned that a misdiagnosis can cause a significant delay in treatment. Patients should ask their physicians to consider all options.